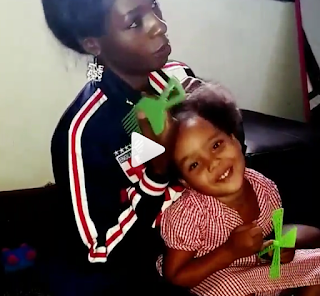 Cindy Sanyu really looks like an awesome Mom as she is singing "Down in the jungle" with daughter while combing out her mixed hair. A while back, Sanyu lost custody of her daughter Amani, 4, to her ex-boyfriend Mario Brunetti by a family court in Uganda. Since she only gets visitation time, the Ugandan singer makes the best out of her quality time like on this short video she posted on Instagram.